Keystone Condensing Boilers provide powerful solutions for large residential and light commercial applications with 5 models with inputs from 399 to 850 MBH. These products feature a stainless steel heat exchanger with a thermal efficiency between 95 and 97%. Their compact design minimizes floor space while the cabinet provides easy access to all components. The large user friendly control interface makes set-up easy. 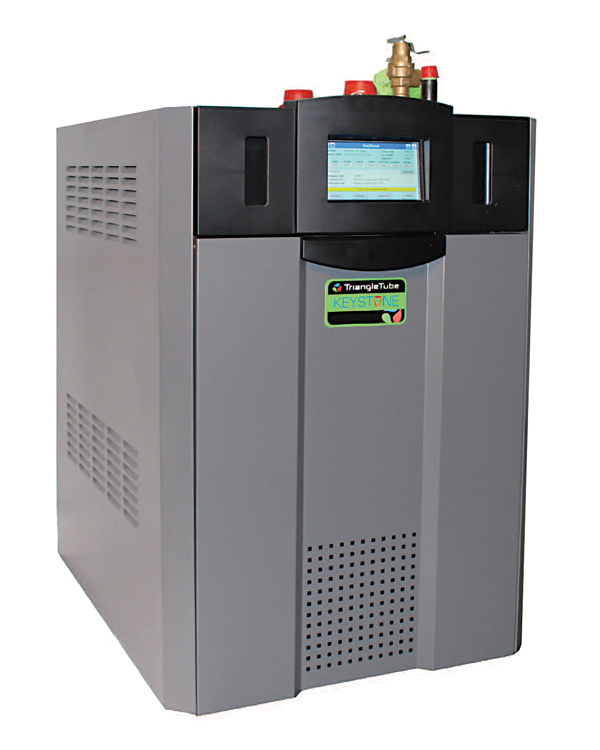 The advanced control modulates the boiler with a 5 to 1 turndown ratio. Up to 8 boilers can be joined in a cascade while the control features parallel modulation and boiler rotation to maximize efficiency and service life.